Home Costs > How Much Does a Blanket Cost? How Much Does a Blanket Cost? A blanket is a larger piece of woven cloth that is intended to keep you warm. Blankets were traditionally made from wool; however, most blankets found in stores today are made from a synthetic fiber. The cost of a blanket will depend on the material being used, the size, the type, if it’s customized and where it’s being purchased from. On average, plan on spending anywhere from $5 to as much as $150 for a blanket found at a local store. Customized blankets or quilts that are handmade can easily cost more than a few hundred dollars. For example, a blanket made from 100% polyester and is available in a variety of colors can cost $20 to $45. If you have a baby that has sensitive skin, a baby blanket made from 100% cotton and is hypoallergenic can cost $20 to $35. A blanket made from a Cashmere material can cost anywhere from $125 to as much as $400 depending on the size. 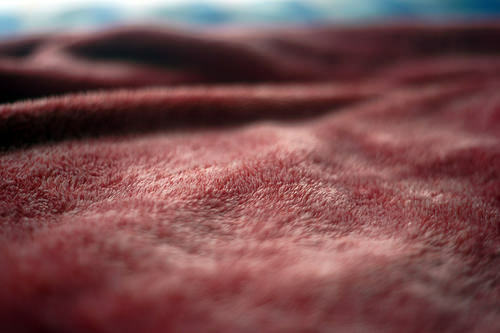 A Chenille blanket can cost $25 to $65. Cotton blankets will range anywhere from $15 to as much as $85. Fleece blankets will range anywhere from $5 to as much as $45. Electric or heated blankets, which have a heater attachment to apply extra heat, can cost $70 to $110 depending on the size. Blankets are available in various sizes, colors, designs and can be made from different materials. The materials used for the blanket will usually determine how much heat it can provide. Blankets also come in many standard sizes designed for different beds, including a twin, full, queen, king and California king. An electric blanket may come with a plug or may be battery operated. It will usually have a control where you can adjust the heat the blanket emits. Some electric blankets have two sides with separate controls in case your spouse chooses a different temperature. Customized blankets or quilts can get rather expensive if woven by hand. However, you will also be able to pick the specific patterns and color and even personalize it. Sometimes, this is worth the cost, depending on what you’re looking for. Make sure you follow the instructions for the care and washing of the blanket. If you do it incorrectly, it could ruin the blanket. Some blankets can only be dry cleaned, often costing about $10 or so per clean. Some type of blankets can cause an allergic reaction depending on your sensitivity; however, there are blankets that are hypo-allergenic and can provide a more comfortable experience when they are used. If you or someone who plans on using the blanket are sensitive to allergies, then you may want to look for the hypo-allergenic label. Be sure to note what type of material you are purchasing. Some material can keep you warmer than others. When you first purchase a blanket, you may want to wash it before its first use. You never know where the blanket has been before it ended up on the shelf! By purchasing a blanket at the end of the colder seasons when spring is beginning, you may be able to find some on clearance. Look for end-of-season sales. Wait for sales or coupon codes when purchasing online.